With churches on five of the Hawaiian islands (Big Island of Hawaiʻi, Kauaʻi, Maui, Molokaʻi, and Oʻahu), Bishop Fitzpatrick visits each island regularly and also attends national and other regional meetings. 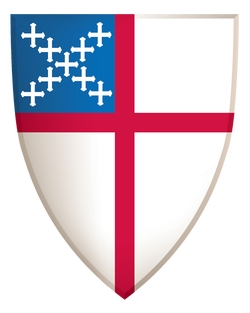 Additionally, he has oversight of the Episcopal churches in Micronesia (Guam and Saipan). As a result, much of his time is spent traveling. This calendar is subject to change. To confirm dates or to schedule a meeting with the Bishop, please contact Denise Esposito, Executive Assistant. Visitations need not be disruptive to the life of the congregation and its worship schedule. Bishop Fitzpatrick will attend all regularly scheduled Sunday morning services or a single service as best meets the needs of the congregation. It's essential that the Bishop’s Executive Assistant be contacted sixty (60) days prior to the visit if there is a request for the visitation to include liturgies other than Sunday morning. He will preside and preach as provided for in The Book of Common Prayer or in Enriching Our Worship at Holy Baptism, Confirmation, and the Holy Eucharist. On Sundays, the Propers from the Revised Common Lectionary appointed for the day shall be used unless special arrangements have been made with the Bishop beforehand; otherwise, the Propers for the appointed Feast Day or from the Daily Office shall be used. The visitation of Bishop Fitzpatrick should provide opportunities for the members of the congregation to meet with him in a variety of ways to share mutual concerns about the ministry of the congregation and the diocese. Adequate time should be provided for discussion of mission and ministry priorities as related to congregational and diocesan programs and resources.